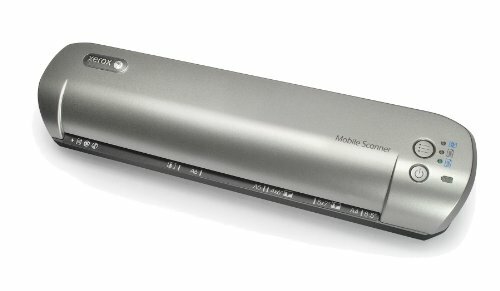 What is Xerox Mobile Scanner? It means easy-to-use technology that is flexible enough to use anywhere you are, untethered, fully compatible with your world and gear. It means information at your fingertips, integrated devices, small in size, high in performance, all the while being environmentally friendly, affordable and reliable. Until today, scanners have been, at best, portable. They were small and easy to travel with. But now it is time to think about mobility in a whole new way. Scanner can also scan your documents and wirelessly transfer the scanned JPG files with an optional Eye-Fi card (not included) inserted into your scanner. Gives you the power to take the information in your hand, right now, and share it with the world in seconds.